There's something inherently American about public religious displays, especially those prefaced with superlatives. Is it because this land was founded on religious freedom? Or does such grandiosity have its roots in the less laudable, "my way's the right way" aspect of our national character? Either way, Americans of all faiths are tempted to get in the car and drive somewhere. As you motor along this summer praying for relief from gas prices, why not stop by one of these earthly testaments to the divine? Some of these sites strain credulity; others combine faith with broader history lessons -- or at least a gift shop. While some sacred spots feature little more than a carved rock, others are functioning places of worship, so remember what your momma taught you about being respectful. One final caution: Faith is a fine thing, but I still recommend calling ahead to verify hours of operation. If you've traveled I-68 between Pennsylvania and Maryland, you've seen it. A rusting steel framework several stories high and a sign that reads: "Noah's Ark Being Rebuilt Here!" This new ark is the project of Pastor Richard Greene, who in 1974 received visions depicting worldwide "destruction and corruption" and an ark on a hillside. The boat is currently in a suspended state of rebuilding: While not yet home to two of every animal, it is currently enjoyed by birds and whichever of God's creatures is happy living in the algae-clogged water filling the concrete foundation. But while the ark is being recreated to the original dimensions -- 450 feet long, 75 feet wide and 45 feet high -- it's not being built to weather a flood. Plans are for this structure to house a Christian school, a Bible college, a 1,500-seat auditorium, conference rooms, a counseling center and facilities for radio and television. The faithful and the curious are welcome to visit, and Greene maintains a ministry on the site of a former car dealership next door. Since Greene began building 32 years ago, pricey new homes have been built across the street, and grumblers say Frostburg could use a less rusty welcome mat. I say: The wise stay close to the ark. I-68, Exit 34, left on Cherry Lane. Frostburg, Md. This little dollhouse of a church sits nestled in a pine grove just off Route 219, not far from Deep Creek Lake. 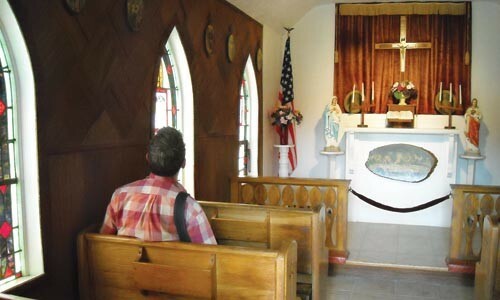 Built in 1957-58 by Mr. and Mrs. Milkint to honor their parents, it purports to be "the smallest church in 48 states." Measuring 24-by-12-feet outside, its interior is a very cozy 16-by-11-feet. That's just enough room for one altar, six two-seater pews, an assortment of large candles and statuary, and 14 Stations of the Cross. And yes, it's a "real" church. You can book your wedding here, if your watchwords are "intimate" or "virtually friendless." Horse Shoe Run, W. Va. Off Route 219, 5 miles south of Route 50. Open daily. Our Lady of Guadalupe may be a long way from home in this rural corner of northeast Ohio. But she seems quite content to gaze upon all who visit the Servants of Mary Garden of Peace. The 50-acre plot is a former farm purchased in 1987 by Ed and Pat Heinz, who have slowly converted it into a garden sanctuary. The statue, created by Texas sculptor Richard Hyslin in 1994-45, is a replica of a similar work in Mexico City. Its exterior is painted concrete, decorated with more than 400,000 tiny ceramic tiles. It's a stupendous creation, and the pleasing effect is of an enormous piece of folk art. Statuary and benches are scattered throughout the facility. Before Our Lady are thoughtfully placed kneelers, candles and floral gifts. There are two chapels, and what seemed to be a snack bar and gift shop under construction. On a sunny weekday morning, though, my only companions were two fat dogs lolling near the parking lot and a few ducks. And a 50-foot-high Blessed Mother. 6569 Ireland Road (between US 6 and Hwy. 86), Windsor, Ohio. 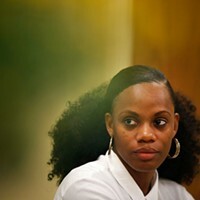 www.servants-of-mary.com. Open daily, 9 a.m.-10 p.m.
Was the Book of Mormon a work of plagiarism? If so, the aggrieved party is buried in this small Washington County churchyard. 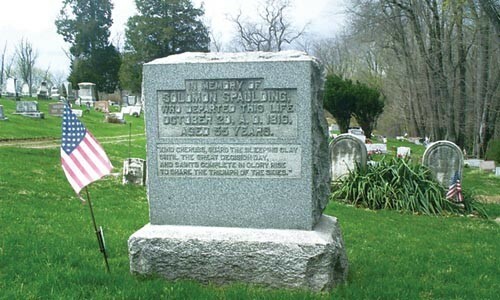 The theory is thus: Solomon Spaulding was a clergyman who lived in Southwestern Pennsylvania and Conneaut, Ohio, near Erie, in the early 19th century. He wrote an unpublished work of fiction called The Manuscript Story, which told of America's ancient tribes. Spaulding died in 1816. Almost 20 years later, Conneaut residents heard preaching from the new Book of Mormon, and called foul. Portions of the Book of Mormon, they charged, were identical to the fanciful constructions in Spaulding's work, which they had previously read or heard. These accusations soon became enshrined in denunciations of Mormonism. How could an unpublished novel from Washington County wind up as the Book of Mormon? Proponents of the "Spaulding Theory," as the controversy is known, point to Sidney Rigdon, a Pittsburgh-area minister and right-hand man of Mormon church founder Joseph Smith, who may have obtained the manuscript from a local publisher. Speaking of not-quite-original, the headstone marking Spaulding's grave is relatively new, a replacement for the original that succumbed to the elements. Or so they say. Lower Ten Mile United Presbyterian Church (one of two adjacent churches). Route 19, Amity Township. Gravestone is located directly behind the brick church on the edge of the cemetery. "The blood, the blood! Blood stripes! The blood!" Rev. Ernest Angely has hit the stage for his Friday Night Miracle Service, and the several hundred folks scattered about the 5,400-seat church clap and stomp their feet. "Stomp out Satan, stomp him out!" Angely exhorts. Angely is among the last of the weirdly entertaining televangelists soldiering on after the Fall of Bakker. You can catch him on Sunday mornings: He rents the 10 a.m. slot on Pittsburgh's CW channel, WPCW, and will lay hands on you through the TV ("place your hand on the screen"). But for the full-immersion experience, a day trip to the Akron, Ohio, church is recommended: The facility includes its own buffet, gift shop and other attractions (see below). 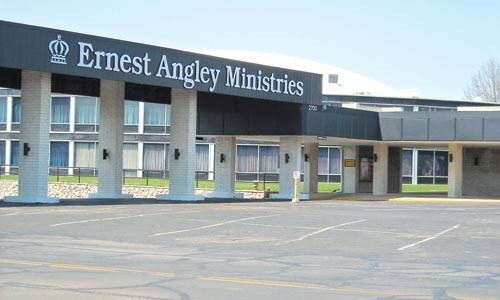 Evangelist Rex Humbard's former Cathedral of Tomorrow is Ernest Angely's Church of Today. Built in 1958, it's a totally cool round-domed structure, not unlike our own Igloo. Inside, there's a circular auditorium-style worship area, with a red-and-white cross beaming down from the black ceiling tiles. Above the stage floats an ornate crown which looks, frankly, like the world's largest car air-freshener. Most of the miracle service's first hour is taken up with singing by a large choir, and then by a trio who perform a couple numbers in African languages the Holy Spirit helped them learn. If you want to see a guy who looks like the weekend weatherman for Des Moines ActionNews sing in Zulu, this is the place. And weary as Angely may be, the indefatigable 86-year-old then spends some 75 minutes laying hands on the 100 or so folks who come to the stage. Their complaints range from the horrifying ("the doctor says my bone cancer is back") to the prosaic ("I've got a boil on my shoulder") to the tricky ("I brought my brother up because he's a drunk"). For each, Angely performs his ministrations -- the waving of hands, the caressing of diseased areas -- before delivering his patented "HEEL-yuh!" Most congregants drop to the floor, soak in the spirit for a few minutes, then return to their seats. It's a little sad, and possibly exploitive ... but, the devil in me admits, also captivating. I see no genuine miracles. A young man with crutches discards them, then limps a few steps. Angely pronounces him healed but returns the crutches, telling him to "use them 'til you don't need to anymore." Well, duh. Angely's service, though, somehow validates both sides. If you believe in miraculous healing or the power of its suggestion, step on up. But if you think this is a racket to separate desperate people from their money and common sense, here's a dome full of proof. 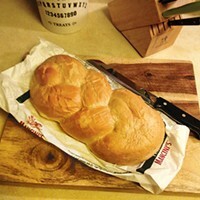 While man does not live by bread alone, it doesn't hurt, and Angely's worship complex features its own buffet. Although it's free of religious trappings, the restaurant is accessed through the gift shop; one wrong turn will have you breaching Angely's TV studio. On a Friday night, I joined a few dozen other diners scattered about the cavernous space. Some, like me, may have been en route to the miracle service; others may have simply dropped in for an inexpensive meal. Cardiologists beware: Befitting Angely's North Carolina roots, the fare here is pure Southern comfort. Among the offerings: fried catfish, potatoes soaking in cheese sauce, broasted chicken, biscuits with honey-butter, sweet-potato casserole and red velvet cake. It's all-you-can-eat, though I was glad to see several polite admonitions posted urging us to "Take all you want but eat all you take." When self-taught artists create work in a state of religious fervor, the results can be extraordinary: art whose earnestness may trump our normally rigid assessments of skill and taste. 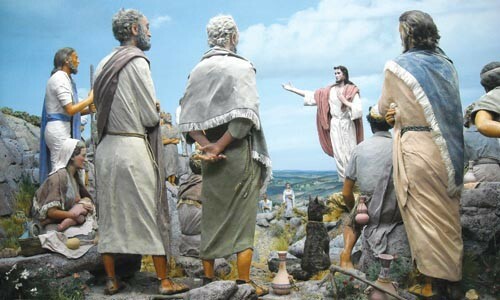 So it is with the Life of Christ display, created by the late Paul Cunningham -- who never even attended high school -- and billed as "a three-dimensional experience for the whole family." Located in the basement beneath the Cathedral Buffet, the exhibit consists of 13 exquisitely detailed dioramas (and a handful of black-velvet paintings) depicting scenes from "the earthly life of our Lord." Included are such events as the Last Supper, Bearing the Cross and the Resurrection. Similar to old-fashioned museum displays, a viewer pokes his head into a dark cubbyhole and gazes nose-to-glass, effectively filling the field of vision with each scene. The dioramas each apparently took a year to build. The primary figures aren't much bigger than Barbies, yet are meticulously garbed. A variety of simple materials -- broom corn, aluminum wire, rice paper -- has been transformed into dense landscapes of rocks and plants. (The handout said Cunningham used real fingernails, though you'd need a magnifying glass to know for sure.) The scenes feature ever-shrinking people, structures and vegetation all the way to the rear, a distance of a few feet. The sensation of 3-D perspective is fantastic. One could spend a lot of time marveling over these scenes, and the attendant assured me that there was nothing like gazing at the dioramas "to block the Devil when you're trying to pray." Sadly, the dioramas have a patina of dust and neglect from a lack of visitors. Though I arrived well within visiting hours, the display was locked and somebody had to be summoned to let me in. Other than a large selection of Angely's tracts, the upstairs gift shop offers mostly generic knickknacks and jewelry. However, the Lord works in mysterious ways: I found a set of Life of Christ diorama drinking glasses at the Goodwill across the street. Rev. Angely preaches 7 p.m. Fridays and 10 a.m. Sundays (call to confirm he's in town). 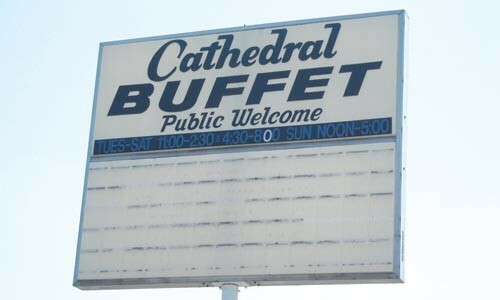 Cathedral Buffet: Tue.-Fri. 11 a.m.-2:30 p.m.; Sat., 10 a.m.-2:30 p.m.; Tue.-Sat. 4:30-8 p.m.; Sun. noon-5 p.m. This pretty corner of Ohio, settled by Swiss and Dutch, offers seemingly unlimited opportunities for purchasing wine, furniture and the puzzling "bulk Amish food." 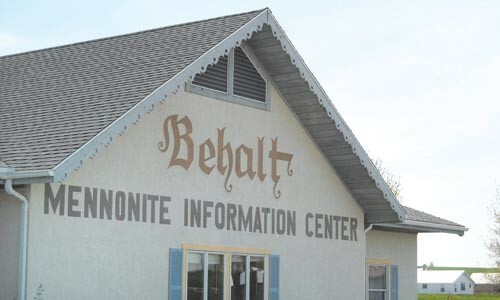 However, for a more educational experience, visitors are directed to Behalt. The highlight of this Amish and Mennonite Heritage Center is its 265-foot historical cyclorama -- a floor-to-ceiling circular mural depicting the story of the Anabaptists. Painted over 14 years by Heinz Gaugel, the work has been dubbed the "Sistine Chapel of the Amish and Mennonites." I was guided through the dense mural by a guide wielding a laser pointer. 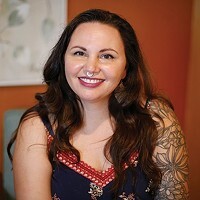 She took a deep breath and began with Jesus, her red dot zipping forward in time through Constantine, the Protestant Reformation and into the meat of the matter: a seemingly endless series of schisms whose breakaway sects form the origins of today's Amish, Mennonites and Hutterites. These early years were marked with persecution and violence, and I was admittedly distracted by the number of headless people enshrined in the painting. "You know how you can tell [the Amish and the Mennonites] apart?" the guide sweetly asked. I shook my head, not wanting to volunteer something stupid about hats. "Thought patterns!" she answered, and skittered the pointer to the New World. It's fair to say I left somewhat more informed, and also somewhat befuddled by having several centuries of history compressed into a mere 265 feet. It wasn't just the circular room that had made me dizzy. Open Mon.-Sat. 9 a.m.-5 p.m.
Commuters stuck on the Parkway East near Bates Street gazing upward for spiritual solace may be surprised to find their hopes fulfilled. There, perched on the rocky steep hill above them, is a religious shrine. Needless to say, the tranquility of this retreat is marred by the roar of traffic, though today's visitors can be thankful that the riverfront below is now lined by smoke-free industries. Pinned to a shed is a decade-old Pittsburgh Post-Gazette article about the shrine, but it fails to shed any light on its precise origins, except to cite the legend of two Pittsburghers having visions to build a shrine here. But isn't it better that way? This is everything a shrine should be: easy to see, hard to find, open to all and touched by mystery. During Joseph Smith's troubled journey west from New York, the founder of the Mormon Church established his first community, in northeastern Ohio. While most of the activity centered in Kirtland, for one significant year, in 1831-32, Smith and his wife lived on this farm 30 miles southeast, in tiny Hiram. While here, Smith received revelations, prepared the Book of Commandments and worked on his translation of the Bible. It was also here that Smith and frequent visitor Sidney Rigdon received a shared vision of the afterlife. 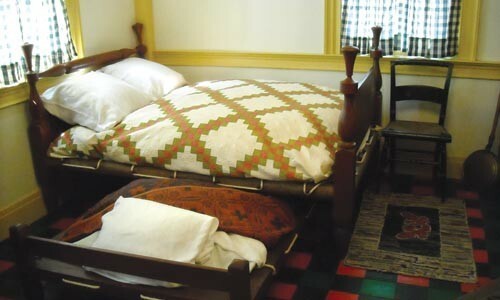 The tour's highlights include Smith's bedroom and office, which together represent both the dark and light of his time in Hiram. It was from the bedroom, pictured above, that Smith was pulled from his sleep by an angry mob to be tarred and feathered. Rigdon met the same fate. I stared at the floor -- a beautiful multi-colored checkerboard -- while one of the tour members cried. I dared to ask how one undoes a tarring-and-feathering. "Carefully," said one the guides, before brightly adding that Smith went on to preach the very next day. Having learned about coping with life's trials, we moved to happier rooms --– cozy guest nooks, a handicrafts area and, finally, the office where Smith received his revelations and put the finishing touches on his new church. The tour took about 20 minutes, and ended with an invitation to take a Book of Mormon. I demurred, and asked instead for the restrooms, which -- being large, modern and immaculate -- proved a worthy stop. Mon.-Sat. 9 a.m.- 7 p.m.; Sun. 11:30 a.m.- 7 p.m.
Pittsburgher Charles Taze Russell, the founder of what is now known as the Jehovah's Witnesses, is buried in Rosemount United Cemetery, in the North Hills. Russell may be resting peacefully, but the controversies that marked his career have followed him to his grave. 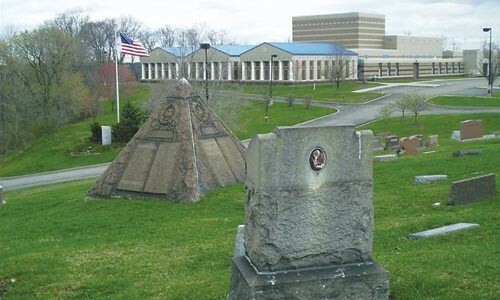 Russell lies beneath a relatively simple headstone (shown in foreground), but nearby is a second, showier memorial: a four-sided pyramid, added eight years after his death, by the Watch Tower Bible & Tract Society, then the name of Russell's ministry and publishing house. The names of a few deceased believers are etched on each of its sides; one side is marked "Dead With Christ," and lists "Chas Russell Age 64" below. To the casual observer, this is all very ordinary. But Russell was dogged by accusations of association with freemasonry and related occult activities. 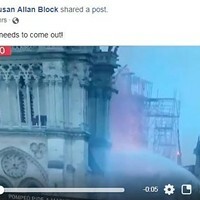 Hence, there has been continuing speculation, not least among the various breakaway factions of Russell's church, that the pyramid and its cross-and-crown motif -- all known Masonic symbols, ahem -- is all the proof needed. Not an argument for me ... but what can we make of the building next door to the cemetery, the Greater Pittsburgh Masonic Center? Rosemount United Cemetery, 226 Cemetery Lane, Ross Township. Russell's plot is hard to miss: Coming from the parkway, Rosemount is the last cemetery on the right, and the controversial pyramid is plainly visible from the road. If nothing else, you'll see the huge Masonic Center opposite. It's no longer easy to find the intersection of Pittsburgh's industrial past and the religious faith its immigrant laborers brought with them. But within the yellow-brick parish church that perches just above Route 28 is a remarkable collection of early 20th-century murals depicting just that. 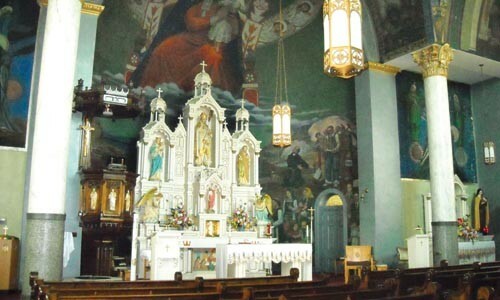 Virtually every square inch of the walls and ceiling of St. Nicholas Catholic Church is covered in murals, all the work of Croatian immigrant Maxo Vanka, whose brush spared little critique, even as he celebrated his hardworking countrymen. A scene of an industrialist at his laden dinner table finds bitter corollaries in tableaux of ordinary men engaged in hard labor, or on the battlefield. The depiction of a dead coal-miner surrounded by grieving women recalls images of Christ taken from the cross. In yet another jarring scene, a crucified Christ is bayoneted by modern soldiers. Sadness prevails in most scenes, and few visitors will fail to find the paintings affecting. Today, the tempera paintings are increasingly subject to damage, from flaking paint and water seepage. Efforts are underway to bolster preservation and to better illuminate the paintings. But even in their somewhat murky state, Vanka's murals are a Pittsburgh treasure: There can't be another Catholic altar flanked by images of steel mills, stray dogs and a worker with a metal lunch pail. 24 Maryland Ave., Millvale. 412-821-3438. www.stnicholascroatian.com. The church is open for Mass 6 p.m. Saturdays; 9 a.m. Sundays; and 11 a.m. Mondays and Fridays; call the parish to inquire about other hours to see the murals. Where do you go if you're a persecuted radical pietist living in early 19th-century Germany? For George Rapp and his followers, the Promised Land was Western Pennsylvania. In 1804, Rapp and his group set up a starter community on several thousand acres they called Harmony. Here, they indulged in their own brand of Christianity, which favored personal salvation and more esoteric forms of spiritual illumination. And it was here that, in 1807, Rapp issued the now-infamous edict that members should remain celibate. That's no way to build a communal society, some will snicker. But the Harmonists had less-earthly goals in mind: The second coming of Jesus Christ was imminent, they felt, and purity would hasten this glorious time. After 10 years, the group moved on to Indiana, then in 1824 returned to set up shop in Economy (today's Ambridge). There, the group created a prosperous and educated communal society. But as the century unwound, things grew less harmonious. Defections were common, and dissension grew when Rapp's prediction that Jesus would return in September 1829 went unfulfilled. In March 1832, a third of the group broke away. Rapp claimed the schism had itself been foretold in Revelations ("And his tail drew the third part of the stars of heaven, and did cast them to the earth"). But by the end of the 1800s, just six members were left. Within a few years, Economy was acquired by the state -- an historic landmark just decades after its heyday. Tue.-Sat. 9 a.m.-5 p.m.; Sun. 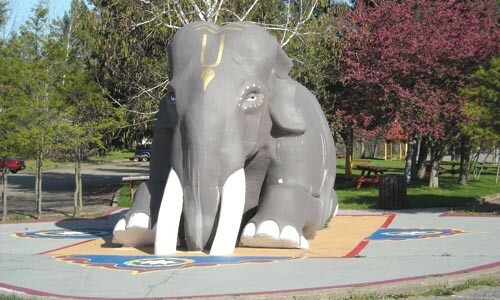 noon-5 p.m.
After winding down the sort of narrow West Virginia country road where you hope Krishna is your co-pilot, you'll see the golden roof of an ornate, nearly fanciful structure. It is the sign that you are entering New Vrindaban, home to the Hare Krishnas. The International Society of Krishna Consciousness, or Hare Krishna, movement was founded in 1966, and spread rapidly. Members raised funds to establish worship and living centers, including this complex in the hills above Moundsville. For a time, New Vrindaban prospered; the astonishing Palace of Gold was built by devotees in just seven years. 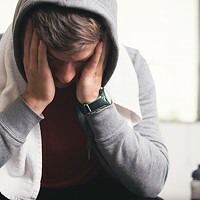 But by the mid-1980s, bad karma was everywhere -- ranging from disputes over the community's expansion to allegations of drug-running, child abuse and even murder. Amid the scandals, the community's population shrank considerably. But it carries on today as a pilgrimage center, agricultural community and unlikely tourist attraction. The Web site stresses the liveliness of festival days and weekends, but I visited on a weekday, when New Vrindaban is decidedly empty. The "protected" cows are munching in the field; a few people -- some women in saris and men sporting the nearly bald hair-do -- come and go. But an air of "hanging on" pervades. It is surreal, though not unpleasant, to wander through this fantasia of Eastern temples, Western gardens and Appalachian vistas. The stillness is broken only by chirping birds and the sing-song chants of "Krishna Krishna Hare Hare ..." piped over a tinny PA system. The community's nucleus is across the road from the Palace and down the hill. Here are visitors' accommodations, a vegetarian snack bar and KRSNA's Attic, "a transcendental thrift store and recycling center." Three miles down Palace Road (off Route 250 in Limestone, W. Va.). 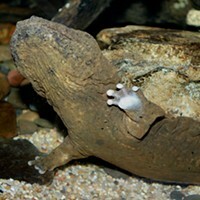 304-843-1812. www.newvrindaban.com. Palace tours daily in summer, 10 a.m.-8 p.m.
Other Catholic churches may have fancier interiors or more colorful histories, but St. Anthony's Chapel, in Troy Hill, has got the most bones. Housed within this relatively ordinary structure is the world's largest collection of religious relics outside of the Vatican. The collection was acquired in the late 1800s by a Father Mollinger, who personally financed both the gathering of relics and the chapel to store them. Today the chapel houses more than 4,000 relics. Many of the relics are almost too small to see, but the casual visitor will hardly notice, so dazzled will he be by the reliquaries -- the exquisitely wrought cases of wood and metal encasing the sacred fragments. These "keepers" range in design from mimicry of lockets and picture frames to what appears to be a cross-section of a miniature cathedral. Each is incredibly detailed, many dripping with such Victorian excess as bejeweled flowers; these reliquaries are a work of art in themselves. Beneath a lovely painted ceiling, meanwhile, are several gorgeous stained-glass windows depicting saints. It's a visual overload in here, but there's also no rush. 1700 Harpster St., Troy Hill. 412-323-9504. Spend any time on our nation's highways and you'll see 'em: trios of large crosses made from what look like telephone poles, the center cross painted gold. Most of these clusters began sprouting up after 1984, the result of a divine calling received by West Virginia businessman Bernard Coffindaffer. Coffindaffer sold his coal-washing business after experiencing a mid-life religious conversion. The Holy Spirit had instructed him to travel the land and install crosses in sets of three, representing Jesus and the two thieves he was crucified beside. The crosses would remind people that Jesus died for our sins, and that he would soon return. 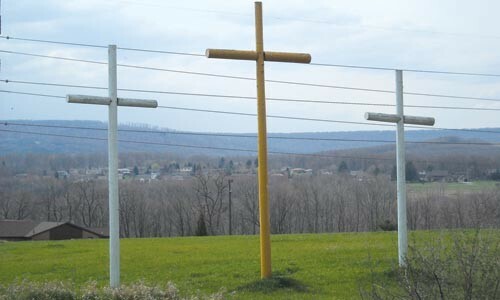 The first crosses went up in 1984, at the Flatwoods exit of I-79, 65 miles north of Charleston, W.Va. (Reaching as many sinners as possible is important; hence the crosses' locations along major roads.) By the time of his death in 1993, Coffindaffer claimed to have spent approximately $3 million planting crosses and employing a small crew for installation and maintenance. Today, there are more than 1,800 crosses in 29 states, plus Zambia and the Philippines, according to Christian Crosses, Inc., a Mississippi-based organization dedicated to preserving and building the crosses. But each cross cluster is at the mercy of volunteer caretakers. Some are well maintained and repainted regularly, but others have fallen down or show signs of neglect, such as the set pictured above. 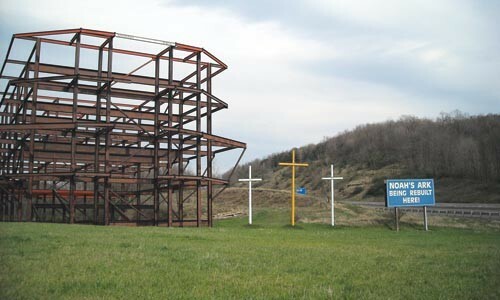 Perched above Exit 7, on I-68 just east of Morgantown, W. Va., these crosses likely once had the hillside to themselves. Now, they're just more off-ramp clutter, resting near an electrical station and a tank tower. Worse still, they're no match for Mammon: A nearby shopping center has come so close to the crosses that the Lowe's delivery lot is practically on sacred ground.